The icon speaks to Robin Roberts after announcing he will retire from touring. 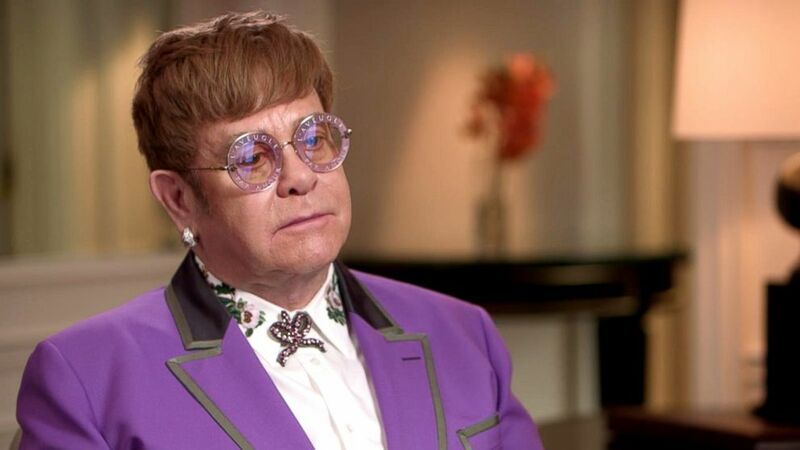 After nearly five decades of performing around the world, Sir Elton John said he's retiring from touring for a heartfelt reason: to spend more time with his children. "Why now? Well, before the children, I thought ... this is what I'm going be doing till the day I die," the music industry legend told ABC News' Robin Roberts of his retirement announcement. "But I don't want to be traveling away from my children ... I'd rather be with my children than still be playing shows." John and husband David Furnish are the father of two sons, Elijah, 5, and Zachary, 7. "Our boys came into our life at a late time," John told Roberts. "I've never ... experienced anything like it, being a father." "There's no contest. I'd rather be with my children than still be playing shows," he added. "It's a very easy decision to make." John announced Wednesday that at the end of his global "Farewell Yellow Brick Road" tour -- which kicks off in September and will include 300 shows across the globe -- he will retire from touring, after nearly half a century in the music industry. "I am determined to go out with a bang," John added, referring to his final tour, saying that he feels "joyous" for the opportunity to "say thank you to all the fans that I've had." 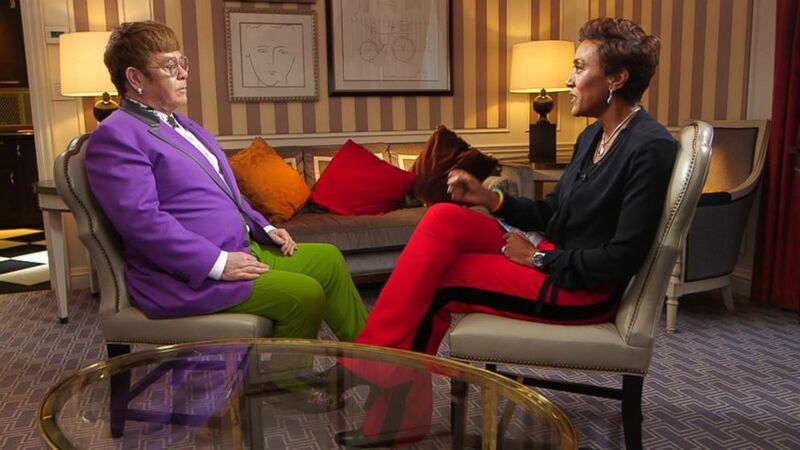 (ABC News) Sir Elton John discusses his announcement that he will retire from touring in an interview with ABC News' Robin Roberts. Despite retiring from touring, John said he'll "still be making music, writing, making records." "I’ll still be involved in music," he added. "I can't not be involved in music." The five-time Grammy Award winner said that over the course of his career in the music industry, his favorite part about performing has been "the contact with another human being." "The emotion you get back from someone who doesn’t know you, you don’t know them," John explained. "But for that one song you are one with them ... that's greatest feeling you can have." John, who has sold over 300 million records and had 31 platinum albums, told Roberts he believes one defining moment of his career was releasing his 1970 hit "Your Song," which he called the "first great song we wrote." "I've been singing it ever since 1970," he added. "I've got so many songs to choose from, I can pick and choose, and If I get fed up, I can throw them out. It never happened with 'Your Song.'" John also reflected on his work in the classic 1994 Disney film "The Lion King," saying working on the film's soundtrack "completely changed my life" and "introduced my music to new kids." "Certain things like that have happened at certain times in my career, where one phone call, one decision, one gut feeling ... has made my life better," John said. John told Roberts that "the same kind of gut feeling I had to do 'The Lion King' then,'" is what nudged him to do his upcoming final tour. John added that even as he retires from touring, he hopes to leave with the fans with the knowledge that "our songs will live on." "I am not disappearing and I will be making music," he said. "I want people to appreciate me as a musician and a human being." Finally, John said that he wants the final performance of his final tour to be in the U.S.
"I want my last performance to be in America ... this is where I got my start," he said. "This is, in 1970 at Troubadour, that it all started." "I owe this country so much," John said. "I want to start and finish in America."